- Thickness: 1/2" to 6"
Offering our clients High Tensile Fasteners manufactured as per industrial standards. 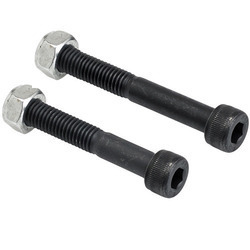 We provide all range of Fasteners in High Tensile in grades like 8.8, 10.9, 12.9 Standard as well as Non Standard Sizes as per client's requirements. Recon Steel & Engg Co.
· Thickness: 1/2" to 6"
We are Offering High Tensile Fasteners to our Client. Grade: 4.8/ 8.8/ 10.9/ 12.9 ect. We have a wide range of High Tensile Steel Screws. DHANWANT METAL CORPORATION is India's leading manufacturer of high tensile nut bolts, u bolts, washers, anchors bolts, high tensile stud bolts, high tensile hex nut bolts, foundation bolts etc iv various sizes, grades. We provide a wide range of High Tensile Fasteners that is available in different sizes, length and surface finishes. These are manufactured using quality material like stainless steel and known for their sturdy construction and durability. 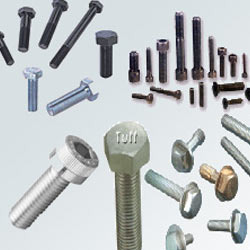 Our range of High Tensile Fasteners is highly demanded in metal works, construction and automobile industries. WE CAN GIVE IN GRADE 8.8 , 10.9 AND AS PER DRAWINGS. Size Range: Dia. M4 to M52 & 3/16" to 2"